The first time I ever saw Americans was when I was 12 years old. It wasn’t actually blond-haired, blue-eyed Americans that I was seeing up close. The Americans I saw that day were F-4 Phantom bombers, brutally attacking small towns on the shore of Ha Long Bay. It was Aug. 5, 1964, and I was at the beach on a school trip, swimming with my classmates. 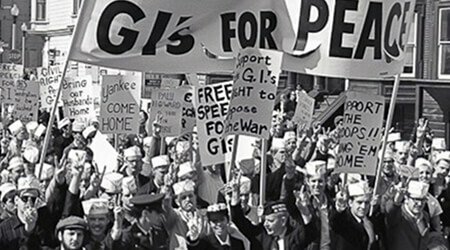 That was right after the Tonkin Gulf incident, the day President Lyndon B. Johnson announced his decision to expand the war throughout Vietnam. After that day my life, the lives of my parents, brothers and sisters, the lives of all Vietnamese, were turned upside down. From then on, we lived under a sky that was almost always ablaze with the roar of jets, bomb blasts and sirens. Bomb shelters were dug along all the streets and beneath every house in Hanoi. Electricity and running water were in short supply. We dimmed the lights at night. Food, clothing and fuel, paper, books and other necessities of life were rationed, but there wasn’t enough of anything to meet the needs of the people. There were long lines outside stores. Children 16 and younger were evacuated to the countryside, separated from their parents. It was not so different from the experiences of British children in London in 1940, but the children of Hanoi endured all of this much longer — from 1964 to 1973 — and our life during wartime was tougher. My family was originally from Dong Hoi, a small town in central Vietnam so flower-filled it was called “the Town of Roses.” In 1946, most of my extended family moved to Nghe An, in North Vietnam, where I was born in 1952. In 1954, after the Geneva Accords, my parents moved to Hanoi. In the early days of the bombing, our village, Dong Hoi, was almost completely leveled; all that remained was the charred wall of our church and the tower of a water reservoir. Bombs and artillery from the American Seventh Fleet killed 32 people in my extended family in 1965 alone. Still, as far as I can remember, in spite of the death and destruction, people did not seem demoralized. Contrary to what the Pentagon expected, the relentless bombing motivated many of us to join the military. I wanted to sign up in September 1969, a few months before my 18th birthday. Why? I wanted to fight foreign aggression, to be an honorable man and to be a good citizen. My parents urged me to go to college and refused to sign the form to permit me to enlist at 17. But I was determined, and in the end, they gave in. My mother cried when she signed the papers. By then the war had already been going on for five years, and the level of violence was at its peak. In 1969, no one in Hanoi really believed what the official government propaganda had been telling us about the war. When I volunteered, I had no illusions about my fate. I was not brave or fast or especially creative. I was not a warrior. I knew I had little chance of surviving. Nevertheless, regardless of whatever happened to me, I was sure that the Vietnamese people would defeat any aggressor and that we would reunify the country. I didn’t think we would win a victory like my father’s generation had at Dien Bien Phu, and I also understood that the Americans were many times stronger than the French. But I strongly believed, as did most of my comrades, what President Ho had told us many times — that eventually the United States would give up and go home. In January 1970, after three months of boot camp, where we were taught to use AK-47s, grenade launchers and hand grenades, our unit set off on the long march down the Ho Chi Minh Trail to the Central Highlands. We arrived in Kon Tum in May and were dispersed to different combat units. I was assigned to the 10th Division, Battalion 2, directly under the Board of Commanders of B3 Front. (In 1973, I was transferred to Battalion 5, Regiment 24, and served there until the end of the war.) The enemies we faced in the Central Highlands when I was there were the 22nd and 23rd South Vietnamese Divisions and the American Fourth Infantry and First Air Cavalry Divisions. In 1970, when Richard Nixon began Vietnamization, which many mockingly said would change only “the skin color of the corpses,” the United States gradually reduced the number of their troops in our country. But the fierceness of the war did not diminish in the slightest, nor did the American presence on the battlefield. 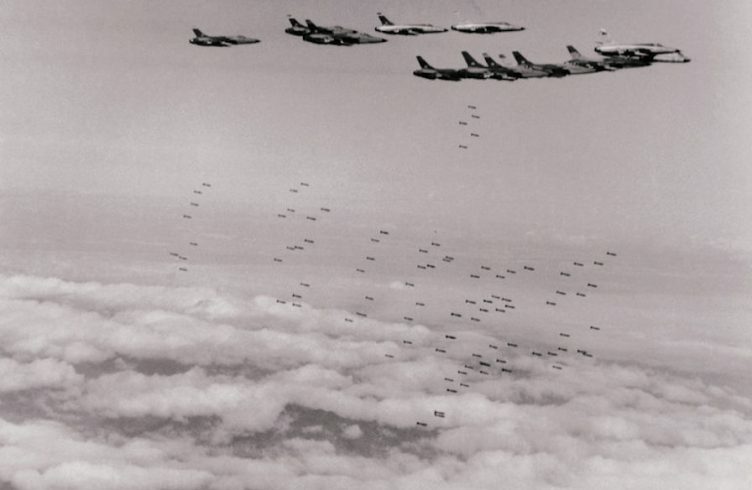 Every minute, every hour, it seemed, they were there, flying 10,000 meters above the earth in B-52s and pouring bombs down on us, raining 105-millimeter, 155-millimeter and 175-millimeter artillery shells on us from miles away. A single B-52 attack or artillery barrage could level a mountain, fill a river with mud, turn a rain forest to ash. I was a scout and rarely had the chance to exchange fire directly with American soldiers. Instead, I mostly observed them from afar through my binoculars. But I did regularly see some Americans at close range — the crews of armed helicopters. Our troops exchanged fire with them daily as they clung to the doors of their Cobras and Hueys and fired machine guns at us. The OH-6 scout helicopters were easiest to spot. They flew just over the tops of trees and hovered a couple of meters above our hiding places. The crews fired their M-16s or threw grenades at us, taking the chance that we might shoot them down with our AK-47s or submachine guns. Those adept and courageous fighters sometimes flew so low we could see their faces and make out the color of their hair, sometimes even their eyes. The last time I caught sight of American combat troops close up, on the ground, was late one morning in April 1971, near An Khe Pass. I saw a platoon of airborne troops on patrol on Highway 19. They seemed relaxed, not particularly cautious, walking down the road in single file, skirting the edge of their base. They didn’t know there were three of us scouts silently following their every move, monitoring them from behind thick camouflage on a hill about 100 meters off the road, and they had absolutely no idea that a strongly armed North Vietnamese Army unit was waiting for them at the bend of the road half a kilometer ahead. To this day, I see them clearly in my mind, as if they were right in front of me. I especially remember a radio operator carrying a PRC-25 backpack radio. I can’t understand why as radio operator he wasn’t beside the company commander, but instead was pulling up the rear, trailing behind the group. He seemed nonchalant, with no bulletproof vest, no helmet, no M-16 or grenade launcher, just the radio on his back. He had short brown hair, no beard or mustache. Through my binoculars I saw that he was chewing something, probably gum. He was just ambling along, kicking an empty Coke can as he walked. Fifteen minutes later the sound of gunfire told me his platoon had walked into our ambush. I never found out what happened to that radio man, have no idea whether he made it. In 1998, during my first trip to the United States, whenever I was visiting a university or high school and saw young boys and girls in auditoriums and hanging out on the lawns, I would see again the face of that young soldier, hear the clatter of that empty Coke can on the road. He was just like a kid on the way home to his mother after school, playing with whatever he happened to come across. It’s been a long time, but I still have nightmares from the war. I still hear the hiss of hundreds of bombs being dropped from B-52s, the roar of artillery barrages and the thrum of the helicopter rotors. I still see platoons of American Marines in bulletproof vests and helmets jumping out of Chinook helicopters, brandishing their M-16s. Worst of all, I can’t forget the dreadful nightmare of dioxin. 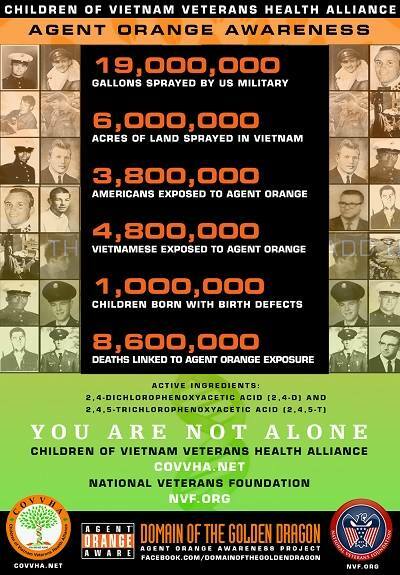 In the spring of 1971, when we were stationed west of Kon Tum, we were sprayed repeatedly with Agent Orange. I didn’t know if the Americans on those C-123 Caribous knew anything about the terrible toxicity of the liquid they sprayed, or if only the chemical companies that manufactured it knew. We understood all too well its horrible destructive force. As soon as the Caribous passed over us, the sky would turn dark with a strange, thick, milky rain. The jungle canopy broke apart, ulcerated and fell to the ground. Leaves, flowers, fruits, even twigs, all silently dropped. Green leaves turned black, crumpled. Grass withered and died. I witnessed many cruel scenes in the war, but that brutal massacre of nature is what comes back to me most often and disturbs my sleep. The last time I saw Americans was in the final days of the war. We had advanced deep into Saigon and made it almost all the way to Tan Son Nhut airport. The Americans I saw in April 1975, like the ones I first saw in August 1964, were in the air, flying above us in F-4 Phantoms. But this time, they were covering the retreat of all remaining American military, civilian and diplomatic personnel from South Vietnam. The last American was evacuated from Saigon in the early morning of April 30, 1975, and by noon the Saigon regime announced its surrender. The brutal war that had seemed for so long as if it would never end was finally over. My unit stayed in Saigon for a few weeks, until mid-May 1975, and then we were sent back to the Central Highlands, given the task of searching for the bodies of our comrades who had been killed, and collecting their remains. At the end of that year, after six years in the South, I went home. I don’t know the overall survival statistics, but out of the 25 boys from my high school who went to war, 11 were killed. Of the three young men from my apartment building in Hanoi who enlisted with me, I was the only one to return. Now, 23 years after I made it back home, I was seeing Americans. I will never forget the days we spent in the large university auditorium at the conference in Missoula, Vietnamese and American veteran writers sitting side by side, discussing our countries’ literatures, sharing our work. Literature really does have its own magic. In Missoula I heard for the first time the famous verses of Henry Wadsworth Longfellow’s poem “The Arrow and the Song,” translated into Vietnamese and read for us by the poet Nguyen Duc Mau. Longfellow’s words resonated beautifully with the conference’s atmosphere: friendship, love of life and peace. In the same spirit, Prof. Philip West, the director of the Mansfield Center at the University of Montana, read an English translation of “Visit to Khan Xuan Temple” by the Vietnamese poet Ho Xuan Huong: “Tranquil afternoon of spring on pavilion site,” it reads. “Light in heart and clear in mind.” The verses of the Vietnamese poet, a 19th-century contemporary of Longfellow’s, sounded to me like music, soaring into the peaceful Missoula air. Although I did not speak English, I could still feel the spirit of the poems the Americans had written and were reading to us. When I met those writers, I tried my best to keep my astonishment to myself. Was Kevin Bower, this quiet man with a warm friendly smile who’s squeezing my hand, really a machine-gunner in the First Air Cavalry Division in An Khe? What could the novelist Larry Heinemann have in common with a combat soldier in the 25th Tropic Lightning Division who fought in the bloody battles in Tay Ninh? How could Bruce Weigl, the author of such romantic verse, be a soldier who had helped relieve the horrific siege of Khe Sanh? The conference also included veterans who came from all over Montana to witness the exchange of American and Vietnamese writers, and to see us, their former enemies. The police chief of Missoula, Peter Lawrenson, served in Vietnam from 1970 to 1972 as an adviser to the South Vietnamese Army in Kon Tum. When he found out I was a veteran of the 10th N.V.A. Division, which he had fought, he greeted me as a long-lost friend. During our time in Montana, Chief Lawrenson drove us around the state to Helena, Great Falls and Billings. In Missoula, we were taken to the memorial to soldiers who had been killed in Vietnam. It was a week after Memorial Day, and lots of people were still visiting the site. 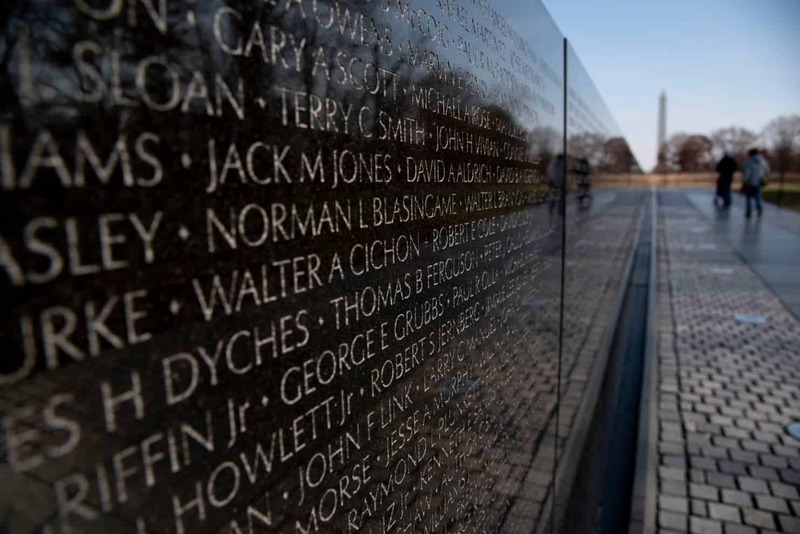 At the foot of the large stone slab engraved with names of the fallen, people had left some flowers, a postcard, a class picture, an old notebook or diary, a military compass, a 1966 issue of Stars and Stripes, a flask with two tiny glass cups and a vintage Zippo lighter. There was also a birthday cake with candles on top. The Missoula memorial was much smaller than the Wall in Washington, but the sorrow and compassion it evoked in visitors was no different. Most, I assumed, probably knew the men whose names were carved into the stone, but there were also visitors from other places. I met a retired teacher and mistook her for the mother of a fallen soldier. My interpreter explained that she came from San Francisco, and had taught high school in Missoula for years. Whenever she returned, she would visit Tommy at the memorial. 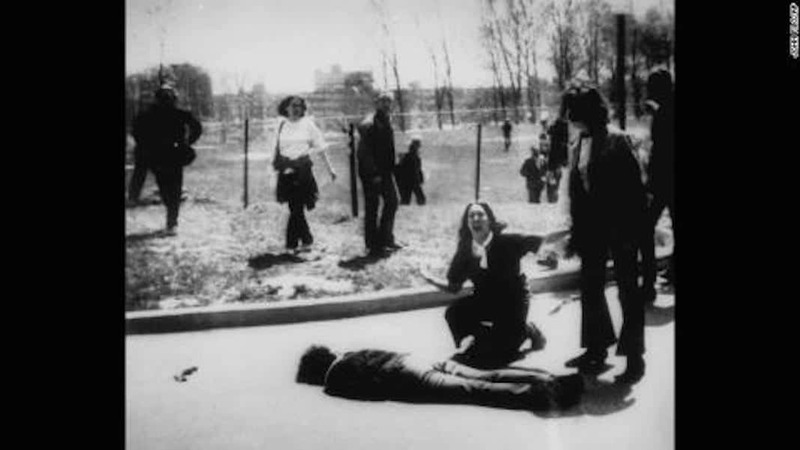 He was one of her students, had graduated in 1970, and was immediately drafted. The next summer, his family received a death notice. He was killed less than a year after graduation. Why was his life so short? At 18, he had finished high school, become a soldier and after six months of hard training, had boarded a plane with his friends, flown halfway around the world, landed somewhere in Vietnam, maybe Da Nang, put on a bulletproof vest and helmet, and taken a rifle to the battlefield. An inexperienced soldier, perhaps he was killed in the first few minutes of his first battle. I wondered if that unfortunate student had been able to celebrate his 19th birthday, whether he had been in Vietnam long enough even to see the sun rise. We spent more than a month in America, traveling from Montana to Massachusetts, Rhode Island, New York and Washington. Everywhere we went, from the conference to meetings with publishers, bookstores and readers, we were welcomed with open arms. 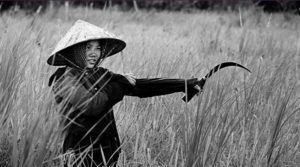 The warmth and friendship of Americans toward us Vietnamese writers evoked my sympathy for the people and the country today, and made me think about the unjustness and cruelty of the war the United States had prosecuted in Vietnam 25 years earlier. I was 46, and I understood very well the inexorable passage of time. As months and years passed, the war had steadily receded. 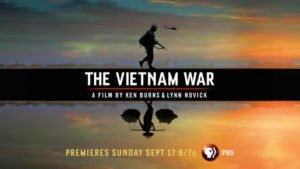 It didn’t seem to cast much of a shadow on daily life in America, or in Vietnam. The wounds it inflicted seemed mostly to have scarred over. But throughout my visit to America, the memories of the war that I had buried for so long came back, clearer and sharper than before. Even today, the war still comes back to me, spreads its wings over my daily life and my writing. Like anyone who has lived through war, I dream that future generations will one day be at peace, will abandon the weapons of war. But I know my dream is impossible. As a writer and especially as a veteran, I know that underneath the beautiful green meadows of peace are mountains of bones and ashes from previous wars and, most awful to contemplate, the seeds of future wars. My generation, the people who lived through the Vietnam War, learned a great deal from our miserable and tragic experience. I wonder whether the lessons we absorbed at such tremendous cost are being passed on to future generations? If they are not understood, or if they are forgotten, are we doomed to repeat the same mistakes, commit the same crimes, repeat the same disasters, spread the same sorrows? 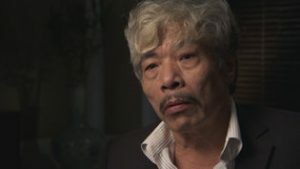 Bao Ninh, who served in the North Vietnamese Army from 1969 to 1975, is the author of the novel “The Sorrow of War.” This essay is adapted from his contribution to “The Vietnam War: An Intimate History” by Geoffrey C. Ward and Ken Burns.